Video: poptech: Duff McDonald: MBA Industrial Complex. Video: poptech: Duff McDonald: Uprigging Markets. Video: CNBC: Secret World of McKinsey. Video: WNYC: McKinsey and American Business. Duff McDonald is a New York-based journalist and the author of the New York Times bestseller The Firm: The Story of McKinsey & Its Secret Influence on American Business (2013). He is also the author of Last Man Standing: The Ascent of Jamie Dimon and JPMorgan Chase (2009), and the co-author of The CEO (2005), a satire. In Spring 2017, McDonald’s newest title, The Golden Passport: Harvard Business School, the Limits of Capitalism, and the Moral Failure of the MBA Elite (HarperBusiness), will debut. In this riveting and timely intellectual history of one of our most important capitalist institutions, McDonald reveals the inner workings of a singular nexus of power, ambition, and influence: Harvard Business School. Throughout The Golden Passport, McDonald explores the dynamics that have made HBS an indestructible and powerful force for more than a century. At a time of pronounced economic disparity and political unrest, this hard-hitting yet balanced portrait offers a much-needed look at an entity that has had — and will continue to have — a profound influence on the shape of modern society and all our lives. The Firm could be considered a prequel to The Golden Passport. In his 2013 book, McDonald showed just how, in becoming an indispensable part of decision-making at the highest levels, consulting giant McKinsey & Co. played its own significant role in setting the course of American capitalism. McDonald uncovered how these high-powered, high-priced business savants have ushered in waves of structural, financial, and technological shifts to the biggest and best corporate, government, and philanthropic organizations, both in the U.S. and beyond. With unrivaled access to company documents and current and former employees, McDonald revealed the inner workings of what just might be the most influential private organization in America. The Golden Passport merely picks up the thread in pulling back the covers on the most influential business school in the world. McDonald is a contributing editor at The New York Observer, where he writes Up & Down The Street, a column on Wall Street and finance. He has also written for The New Yorker, Vanity Fair, New York, Esquire, Fortune, Business Week, Conde Nast Portfolio, GQ, WIRED, Time, Newsweek, and others. 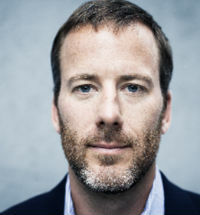 In 2004, he was the recipient of two Canadian National Magazine Awards—Best Business Story (gold) and Best Investigative Reporting (silver)—for Conrad’s Fall in National Post Business. McDonald resides in New York, splitting his time between Brooklyn and the Catskills. 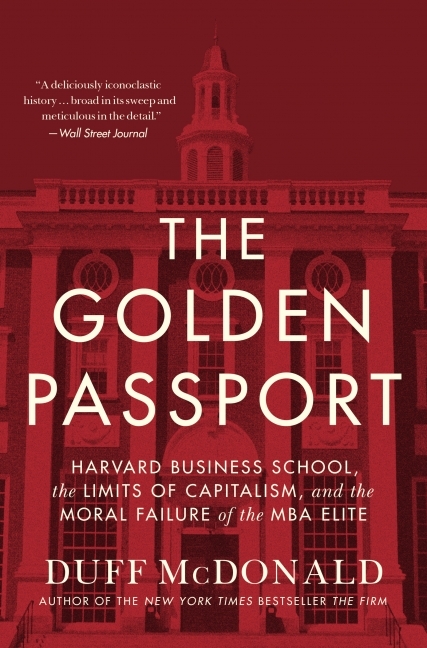 Duff McDonald’s Golden Passport is a magisterial history of Harvard Business School and much more. It provides a powerful lens into the intellectual underpinnings and pragmatic failures of American business and American capitalism writ large.